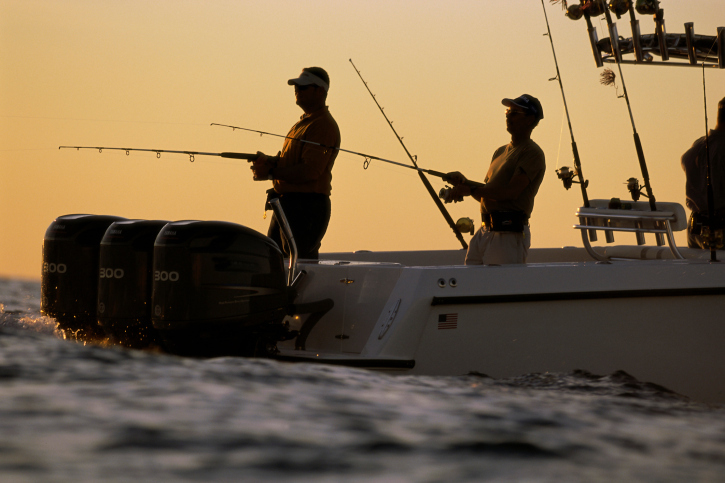 If you’re new to deep sea fishing, learning the ropes can seem overwhelming. Fishing is a skill that takes time to develop, but armed with the right know-how, you can be an expert in no time! In today’s blog, we’ve compiled a few tips and tricks that can make your deep sea fishing trips more effective and enjoyable. We hope you have plenty of opportunities to practice them throughout 2016! Deep sea fishing is a skill. Keep an eye out for seagulls diving into the water. While the birds will be trying to catch the small bait-types of fish that stay closer to the surface of the water, these schools of bait fish is usually an indicator that larger catch can be found just a little bit deeper. If you’re on the hunt for yellowfin tuna, bear in mind that they tend to school with dolphins. Keep an eye out for signs of dolphins and you’ll likely find tuna nearby. If you have a sensitive stomach, an offshore trip can quickly become unpleasant when seasickness kicks in. To avoid spending your entire trip nauseated, stay above-deck when you begin to feel sick and focus your eyes on the horizon. Also, be sure to avoid standing near your boat’s engines as the exhaust fumes will only make matters worse. While the evidence is anecdotal, many watermen believe that crabs are most likely to shed during the full moon. If you’re looking to catch fish such as striper that love to snack on crabs, using a soft, imitation crab bait may increase your chances of hooking one. Floating debris such as driftwood is a prime hiding spot for large game fish. If you see large, floating debris, you’re likely in the right spot for a big catch. Join Fishing for MD in our fight to find a cure for Muscular Dystrophy! Like us on Facebook to stay up to date on upcoming events, team member updates, and corporate sponsors. And follow us on Twitter and Google+ too to help us spread awareness about muscle disease. Interested in becoming a corporate sponsor? Please contact us to learn more about how you can reach the 60 million people that are involved in the sport fishing community while supporting a great cause.